I put this out on twitter and facebook earlier this week and was heartened by the responses....here's just a few. ...grateful, fulfilled and desperate to preserve what we are lucky to have around us. That's just a small snapshot! How about you? What words would you use to express the feelings you get when you are outdoors? In the park, the woods, on the beach or standing on the top of a hill with the wind blowing wildly around you?! And when was the last time you actually felt like that? It's very easy to get caught up in being too busy and convincing yourself that you don't have time. I have a question for you - if you know how good it feels when you do it what's stopping you? Really? Is that a real reason ...or dare I say it - an excuse? How can you incorporate spending some time in nature this weekend.....? Why not come up with three things you could do...?! Make them FUN! 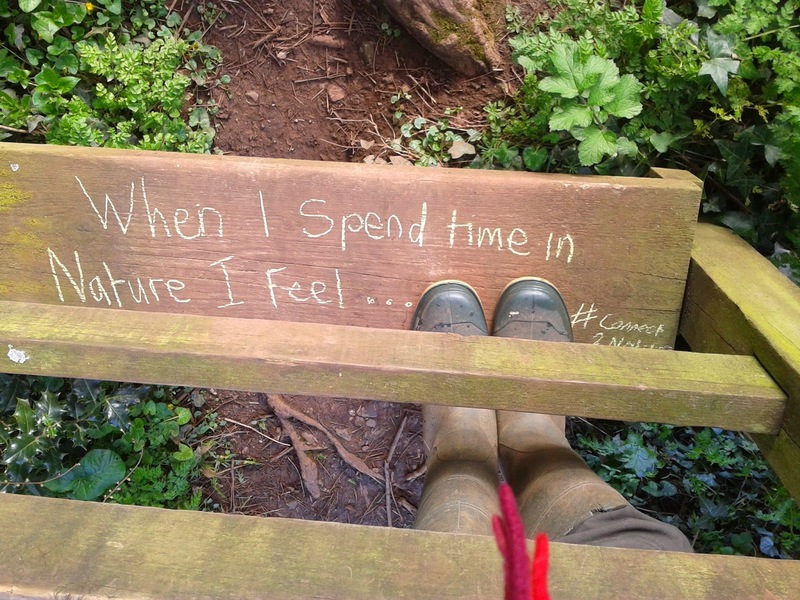 Will one of those things on your list be to Join us for the Spring Connect To Nature: Connect To Self - A Series of Creative Adventures exploration which starts tomorrow? (04 April). It's not too late to sign up and join us! What things might you discover if you join us for this 4-week coached adventure? The best thing is you can join us from anywhere in the world! When I spend time in nature I feel......CREATIVE & FREE!